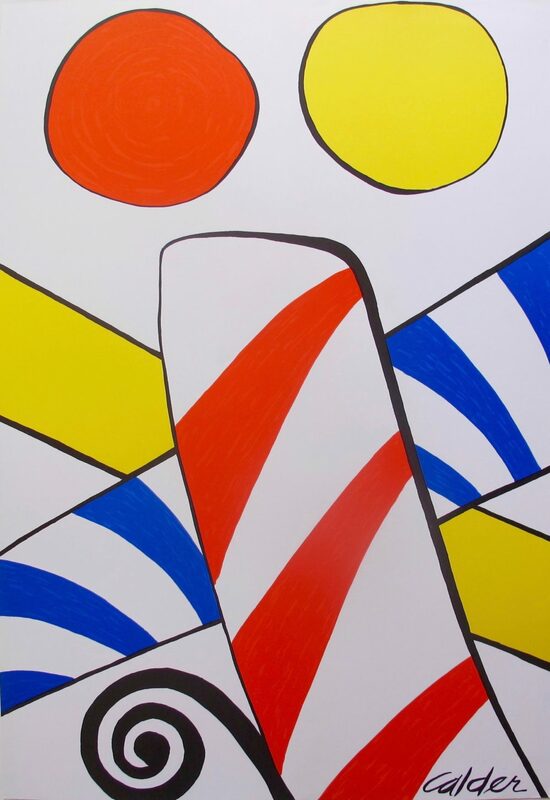 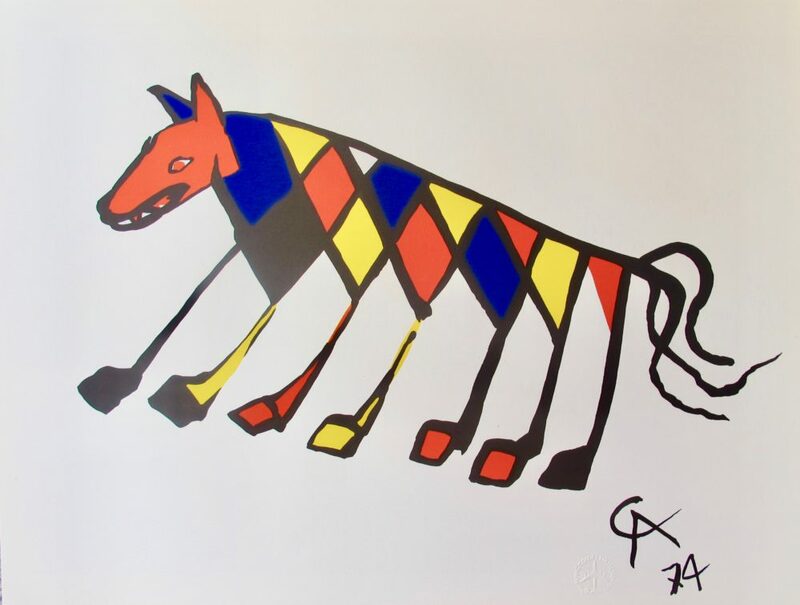 This is an original 1974 lithograph titled “Beastie” by Alexander Calder. 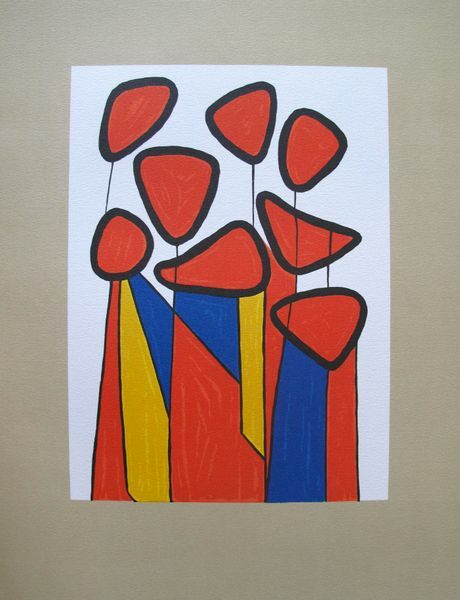 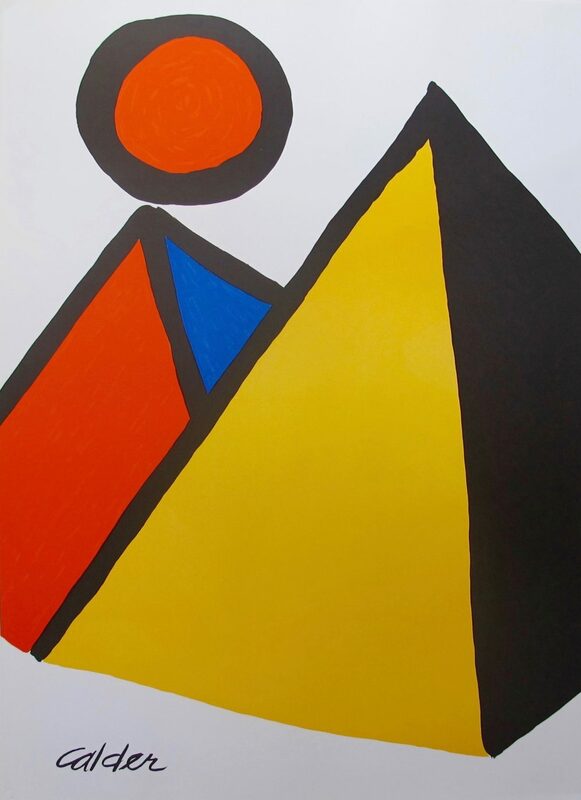 This is a 1975 lithograph titled “PYRAMIDS AND SUN” attributed to Alexander Calder. 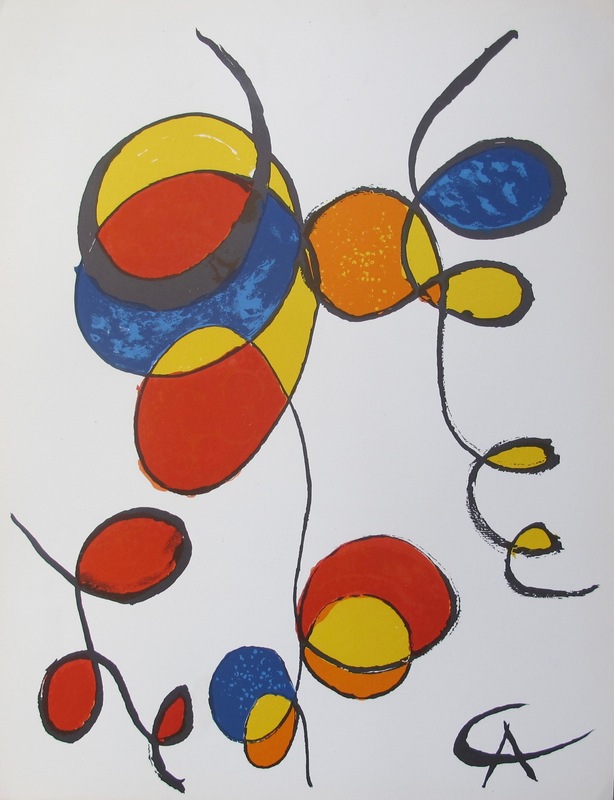 This is an original 1974 lithograph titled “Sky Bird” by Alexander Calder. 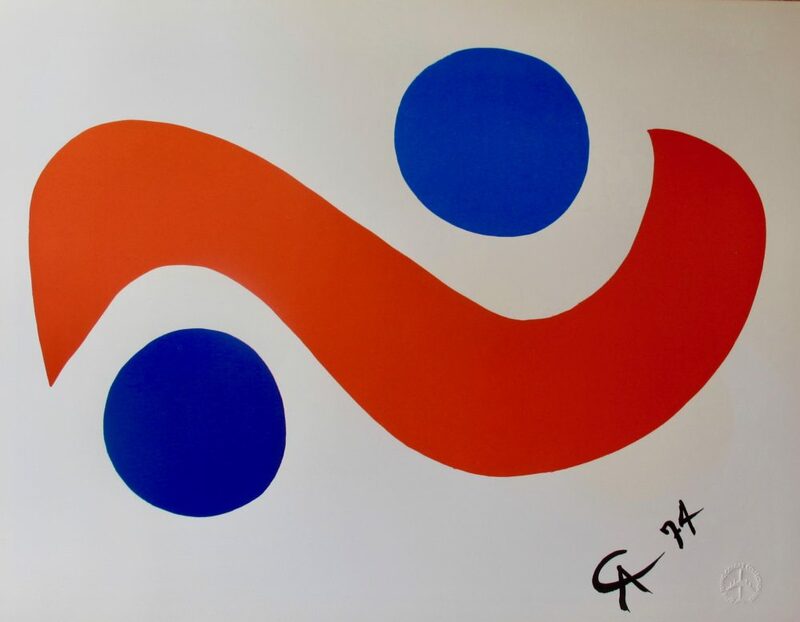 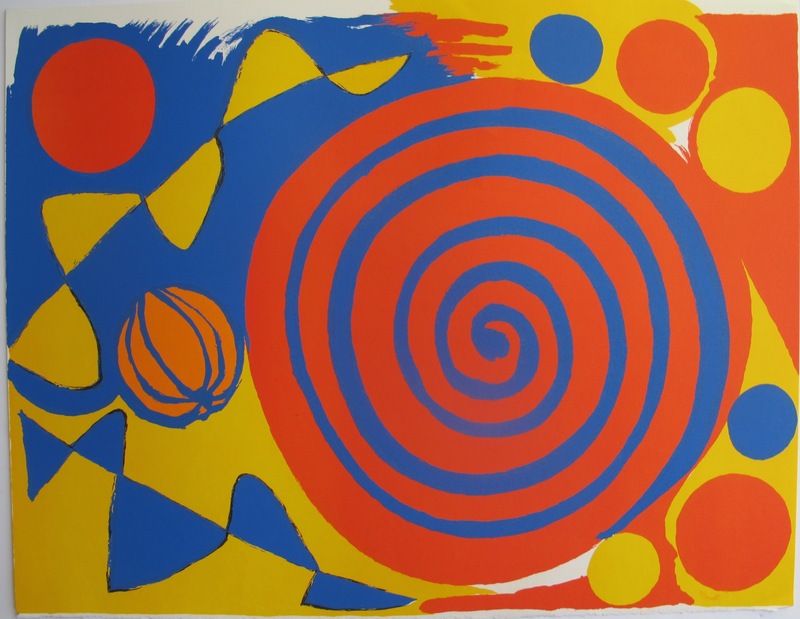 This is a lithograph titled “SPIRALE AVEC CITROUILLE” by Alexander Calder.